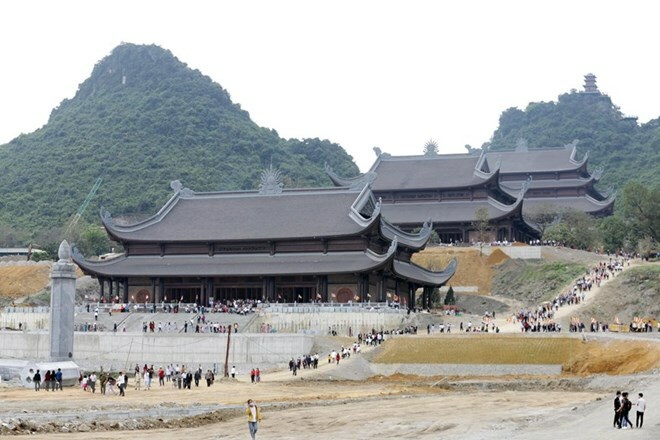 Hanoi (VNA) – Up to 1,500 international delegates from 106 countries and territories and the United Nations (UN) will attend the UN Day of Vesak Celebrations 2019 slated for May 12-14 at Tam Chuc Buddhist Culture Centre in the northern province of Ha Nam, according to organisers. The event is also expected to bring together 1,500 domestic delegates, including Party and State leaders, representatives of ministries, agencies and localities, and monks, nuns and Buddhist followers. The Vesak 2019 programme will include opening and closing ceremonies and five international workshops as well as a domestic one. The international workshops will bring up issues like responsible leadership for sustainable peace, Buddhist approaches to family issues, healthcare, education, morality, responsible consumption and the Fourth Industrial Revolution and Buddhism. Themed “Buddhist approach to global leadership and shared responsibilities for sustainable cities,” the festival will feature Buddhist rituals, a floral lantern release, an exhibition and art programmes. "Vesak", the Day of the Full Moon in the month of May, is the year’s most sacred day to the millions of Buddhists around the world. It was on the Day of Vesak two and a half millennia ago that the Buddha was born. It was also on the Day of Vesak that the Buddha attained enlightenment, and it was on the Day of Vesak that the Buddha passed away. The UN General Assembly internationally recognised the Day of Vesak in 1999 to acknowledge the contributions Buddhism, one of the oldest religions in the world, has made to humanity.